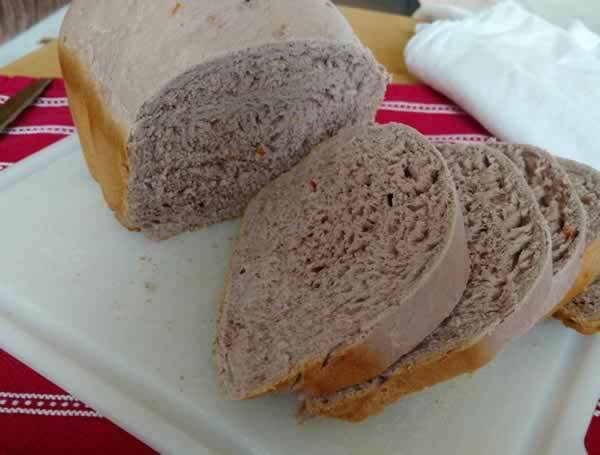 When you look at raspberry bread the first thing that you’ll notice is that it’s purple. Not only that, but it has orange flecks of zest. 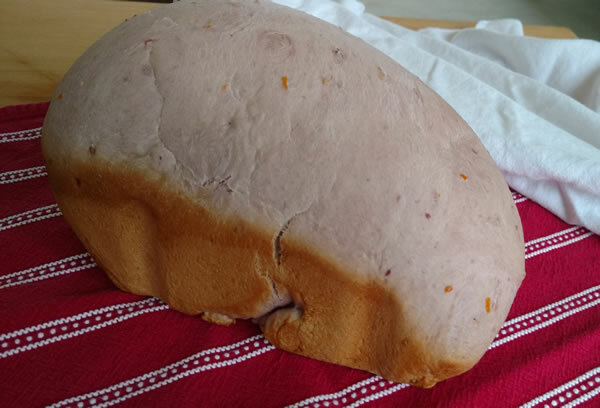 It’s the kind of bread that you’d expect to find in a Dr. Seuss book. When you taste raspberry bread, none of that matters. You don’t mind the odd colors because it tastes so good. It’s fruity and sweet and the texture is amazing. This bread cries to be toasted and slathered with cream cheese. 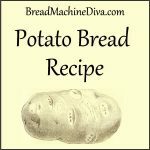 I made this recipe in my two pound machine. 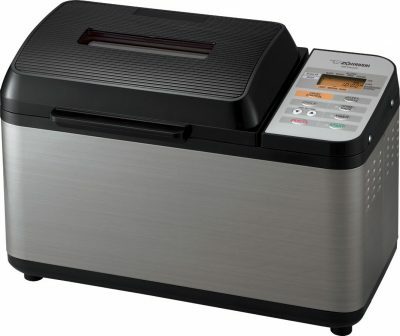 Follow the instructions that came with your bread machine in terms of which ingredients to put in the bread machine first. I used the basic setting with “light” crust. 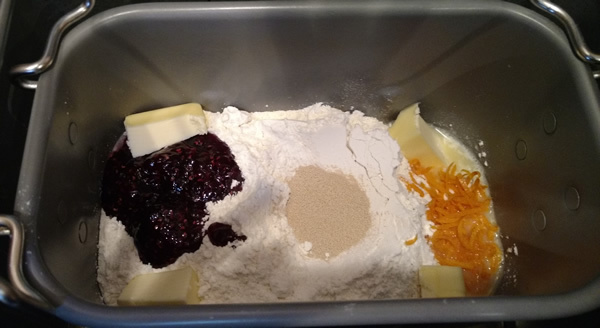 Because different preserves have different consistencies, it’s a good idea to check on this bread after five or ten minutes of kneading. 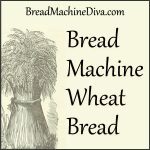 Just pop the top of the bread machine and see how the dough is doing. It should be a smooth, round ball. If it’s too dry add liquid a tablespoon at a time until it looks OK. 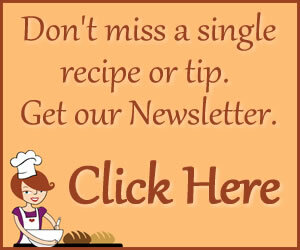 If it looks too wet, add flour a tablespoon at a time until it looks OK. 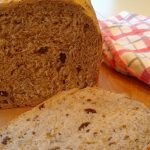 This recipe makes a tasty, moist bread that's perfect for sandwiches. 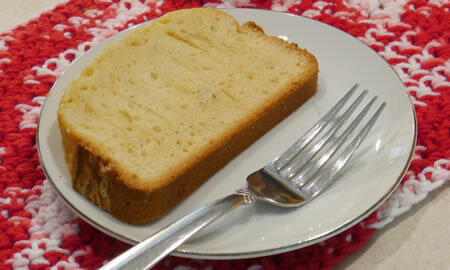 It's also really easy to make because it uses potato flakes. In the middle of making this now I added in Dried Red Raspberries too. I had to add more water to mine. I will let you know how it turn out for me. 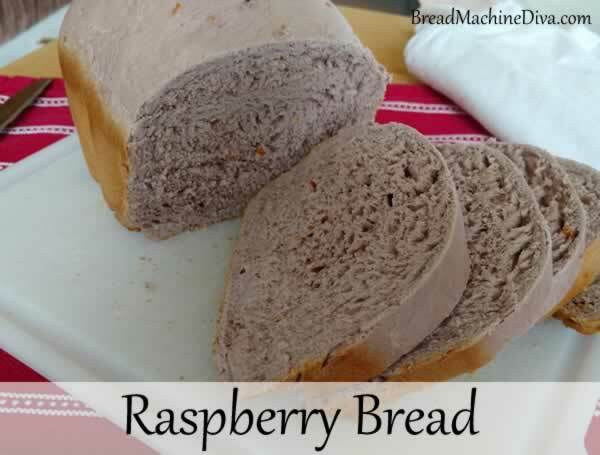 Thanks for posting been looking for a Raspberries bread recipe that more like bread then cake. That sounds great. Let me know how it turns out! How much butter does this need? I really want to make this recipe but don’t want to mess it up. Hope, thanks so much for writing! I can’t believe I forgot to put how much butter to use. I’ve got that fixed now. Hope you like the bread.